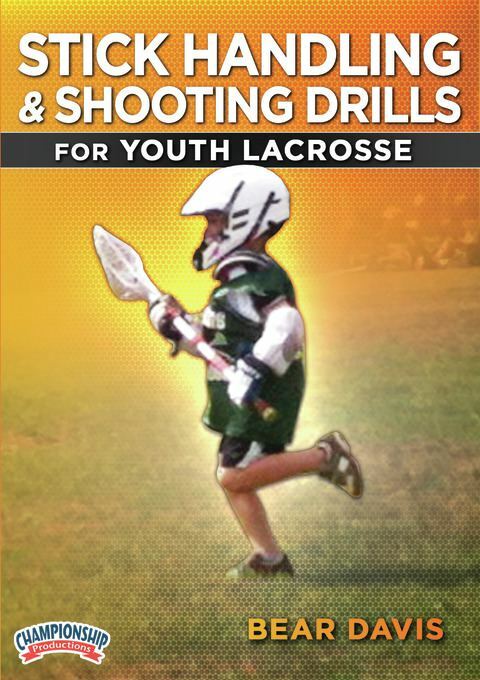 In this instructional DVD especially for beginning players and coaches, Bear Davis covers the basics of lacrosse skills. His presentation is particularly useful for player, coaches and parents with little or no previous lacrosse experience. 4.All of the instruction is broken down into its most basic components. For example, by isolating the individual components of shooting, Coach Davis shows an almost mistake-proof method for teaching shooters the upper body mechanics of the shooting/passing move like isolating the mechanics for the upper hand and lower hand in passing or shooting the ball both lefty and righty. This easy-to-follow approach carries throughout the DVD; suggestions for increasing the challenge of the drill as players get more skilled are also included. Coach Davis' detailed explanation and constant attention to detail ensures that both player and coach will benefit greatly from this instructional DVD.